Kenya Amateur Golf Championship(KAGC) in-conjunction with Thika greens golf resort showcase 4 days golf tournament for amateur golfer. 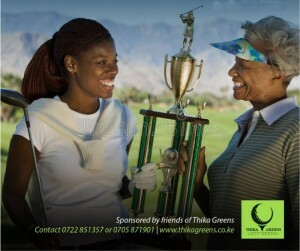 Golf course: Thika greens championship golf course. Note: Over subscription will lead to preference for lower handicap.